In 2005, Jacky Robert, one of Boston's most recognized and respected French chefs, opened a casual, bi-level eatery on the Left Bank of Kenmore Square. 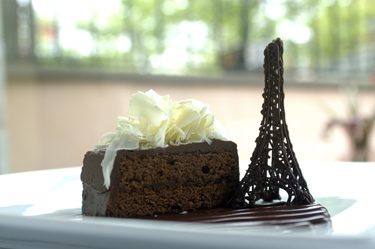 He served classic French bistro fare at classic bistro prices in a classic bistro atmosphere. It even offered a tiny outdoor patio in season. Petit Robert Bistro was a smash hit with diners seeking well-executed French recipes like steak frites, duck confit, Coquille St. Jacques and frog's legs, but without fancy French food prices or attitude. Petit Robert Bistro came to the South End a year later, with an identical concept, even more outdoor tables, and a cozy bar. This year, Petit Robert Bistro ventures into the suburbs for the first time with an outpost in Needham, MA. Again, the winning concept is intact and entrees under $20 are the norm along with affordable wines and nightly blackboard specials.